A VERY WARM WELCOME TO CHESHAM PRIMARY SCHOOL! School is now closed for the long Easter weekend. We reopen next Tuesday, 23rd April. Results & photos of our annual Easter Egg Competition can be found on the Clubs/Activities page. You can now 'meet' our new House Captains by clicking on the 'Meet Our House Captains' link on the drop-down menu from the 'Class News' tab above. In the Governors section you will find a link to the latest newsletter which proposes a Parents in Partnership forum. Our Parent Support Adviser, Lindsey Hales, is available all day every Monday from 9.00 a.m. for pop-ins to provide a variety of help, advice and support. Just drop in. Vicky, a family support team worker from the SCIL (Supporting Communities- Improving Lives) team, is also available for drop-ins every Monday. Click on this link to find out about your local libraries - where they are and what's going on. On the parents page there is a link to a "Parents' Guide" all about the grammar your children are learning about at school. A translation facility is available for this website using the Google translate function on the top right of this page. We have an answer phone option when you ring school. Calls may be recorded for training purposes. We have been awarded the Eco-Schools Green Flag award for the 2nd year running! Congratulations to all our Eco Club members and everyone else who has made this possible! We have also been awarded the Games Mark Gold for the 3rd year running. Well done everyone! A busy first week in school! Upcoming fixtures begin a busy term! 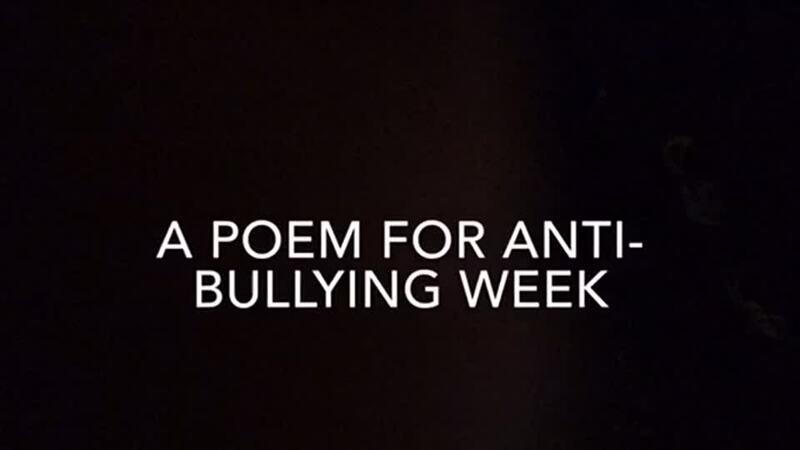 As part of anti-bullying week; a local performance poet, Paul Jenkins, has written this poem and recorded Bury children giving a powerful performance of his poem, which is showing above. See if you can spot two of our children! Why do you point at my trainers? Why do you pull at my hair? Why won’t you be my partner? Why do you stand and stare? As I went to stand in the queue? Why would I put my hand up? Do you giggle under your breath? And tell me instead to be ref? Before the start of that test? That I’m different from all the rest? That I had in my bag with the slip? That meant I missed the school trip. Why do I get no invites? Why do I eat alone? Why can nobody see how my head is down when I start to walk home? About my mum or my dad? In a group I know you call ‘sad’? Why is it I bother trying when I know I’m not going to win? That this world would clearly be better if it wasn’t stuck having me in? And then I don’t know what you’ll do. And to bully the whole day through.